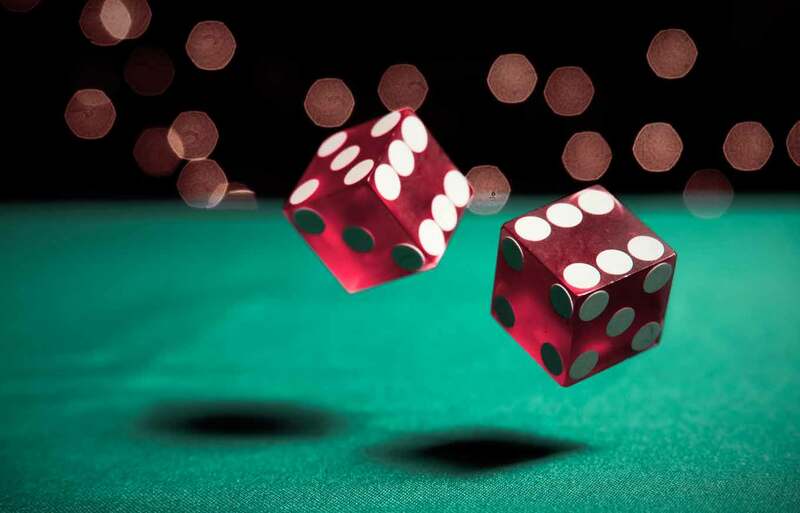 Home > Credit Score > Can Gambling Hurt Your Credit Score? Can Gambling Hurt Your Credit Score? Loans can be pretty tricky to repay when you lose the money you borrowed in the first place. That’s why gambling with borrowed money is generally not a good idea. Still, people do it, and it could hurt more than just your bottom line. Your credit can take a hit if you’re not careful when gambling. There are the seemingly obvious ways to avoid this, like not taking out a credit card cash advance or personal loan to gamble, because you may end up paying a ton of interest on a pool of money that may grow or disappear. The whole “disappearing” thing could make it really tricky to meet your debt obligations. But there are other ways gambling could get you into credit trouble. Given how risky it can be to gamble with borrowed money, the idea of “casino credit” may sound counterintuitive. Casino credit certainly exists, but it’s not credit in the sense that most people think of it, like credit cards or personal loans. Casino credit isn’t a loan from a gaming institution. It’s your money, but instead of withdrawing, say, $2,000 from your checking account for a trip to Las Vegas, you can apply for casino credit and avoid carrying wads of cash up and down the Strip. You give the casino a slew of personal information — name, address, Social Security number, checking account — and you can get credit instruments (sometimes called markers) to use as cash when playing. In Nevada, casino credit applications state that credit instruments are identical to personal checks. It’s like post-dating a check, borrowing money from yourself, using a check-cashing service — people describe it different ways, but the point is that it is not a loan, in the traditional sense. You’re using your money and putting off withdrawing it for several days (the terms vary but can be as much as 45 days, Smith said). But when you apply for casino credit (the minimum in Nevada is $500, and there is no maximum), you give the casino permission to check your credit. Casinos don’t furnish data to credit bureaus, but many outsource credit-checking services to outside companies, who may request credit reports on casino-credit applicants. What you need to know: It’s possible that applying for casino credit could result in an inquiry on your credit report, and inquiries can hurt your credit scores. You can see how inquiries are impacting your credit scores using the Credit Report Card, which will grade you on all the important credit scoring factors like inquiries and show you two of your credit scores for free. Depending on how much credit you apply (and are approved) for, you have a certain amount of time to repay the casino or cash in your markers. If you do not return to the casino to do so, the money is withdrawn from the checking account (because you gave them that information). Now if you don’t have the money in your checking account to cover what the casino issued, you’ve got a problem. How something like this unfolds depends on which state the casino is in (the state-by-state differences are a common theme in the gaming industry), but you get the idea: An unpaid casino credit could lead to debt collection, which isn’t something anyone wants on his or her credit report. It’s not quite the cinematic version of gambling debt, in which thugs threaten to break your legs unless you pay up, but it’s still a serious issue. You may be committing fraud if you knowingly apply for casino credit without sufficient funds in a personal checking account.